Microsoft Windows is the most popular and widely used operating system, mostly because of its ease of use and a huge library of exclusive software. Besides, Windows supports a wide range of hardware, and you will find OEMs designing optimized hardware for Windows OS. However, there is no denying that Windows can be super buggy as it’s quite susceptible to virus attacks and malware infections. The poor system security in Windows, even after frequent updates and patches poses a serious data security concern especially for an organization. Therefore, as an IT admin or cyber-security head, you must take an aggressive approach towards Windows 10 system security with due consideration of instituting a robust data loss prevention program. To assist you, we present a few methodologies to create a Windows 10 security plan based on implementing risk prevention policies and measures with the help of Windows inbuilt tools and third-party utilities. How to Create a Windows 10 Security Plan? To prevent disruptions in business due to data loss, it is important to plan out a data recovery strategy. 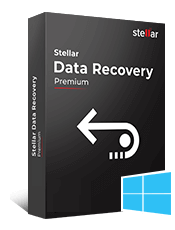 And going with a reliable data recovery software such as Stellar Data Recovery Professional for Windows makes the first step in this direction. 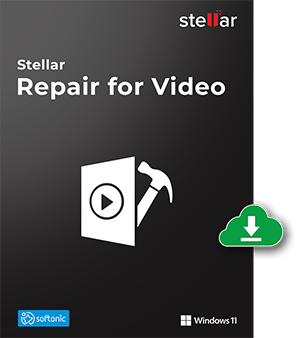 Stellar Data Recovery Professional software for Windows will help you restore the data lost due to virus infections or malware attacks, power surge, file corruption, accidental deletion, and many such unpleasant scenarios. The software enables instant data restoration from all kinds of logically damaged storage media and also facilitates RAW recovery. In case of a mechanical damage to a drive, the software creates a disk image of the affected drive to recover the data without any risk of permanent data loss and business disruption. Windows is the most vulnerable operating system when it comes to virus and malware infections. According to CNNTech report published in 2015, almost a million new malware threats are released every day. And therefore reliable and comprehensive antivirus protection is imperative to combat malicious attacks that generally occur after downloading an infected email attachment or visiting malicious sites. Windows Defender is an inbuilt default antivirus and anti-malware protection component that you may use to safeguard your Windows 10 OS from various virus and malware threats. However, consider the Windows Defender for basic protection, as it may not protect you from the more advanced online/offline attacks and infections. Microsoft releases frequent system updates including security patches to strengthen Windows security. Therefore, you must turn on the automatic Windows updates settings to keep your system updated. This is the first step to combat security risks that arise from various known and unknown malware attacks, phishing, virus infections, and exploits. 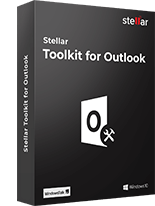 However, updates should not be limited to the Windows OS only but also extend to other third-party software such as java runtime, antivirus, office tools, and the various other tools and software installed on your Windows 10 system. One of the most critical step towards protecting Windows 10 system is web filtering. A web filter helps you restrict access to the various malicious and undesirable websites in order to avoid any harmful malware or payload from entering your Windows systems or network. According to a recent data by Kaspersky Security Network (KSN), more than 282 million unique URLs were found to be malicious in the 2018-Q1. Windows inbuilt tools are insufficient for such a wide range of threats and thus, it is important to use a third-party security program such as Symantec Endpoint Protection and McAfee to enable full protection. These security softwares are frequently updated to defend a system from new and emerging threats. Data loss prevention should be a prime concern in the context of enabling security for Windows 10 or any other system. Data is the new currency and is therefore considered the most valuable asset for any organization. Data loss significantly affects the workflow and productivity; in some cases, business shutdown happens within a few months of data loss. Therefore, it is crucial to have a backup plan. One of the most popular backup plans is based on the 3-2-1 Backup Strategy. The 3-2-1 backup plan states that you must have at least 3 backups of your system in at least 2 different storage media with one backup located at offsite. This helps safeguard the data from both malware or virus infections such as Ransomware and natural and man-made disasters. Apparently, backups may fail and thus, a frequent backup testing plan must be followed to ensure that the back works when the time comes. 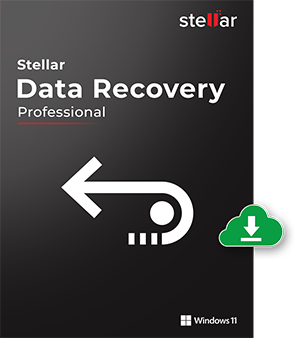 However, there are sophisticated third-party data recovery software such as Stellar Data Recovery Professional for Windows that can help you restore the lost data in case of failure or unavailability of backups. Access and authorization are a critical part of system security. As an IT admin, you must limit authorization and access control for users or employees. You must use an authorization mechanism to check the resources and functions a user can access and perform on a system based on specific requirements. Controlling user access to the data and limiting the read/write/execute permissions help you tighten the system security and assist you in data loss prevention. Encryption also helps you limit the access to certain files or entire system or storage drives. Encryption not only secures your data from unauthorized access within the organization but also from outside threats and helps keep your confidential data private, integrated and available when required. Encryption is a great way of protecting your data from prying eyes. In Windows, you have the BitLocker that can be used for data encryption. 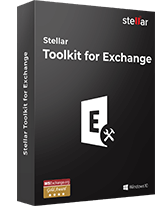 In addition, there are also several third-party tools that offer secure encryption along with many advanced features such as remote decryption. Network encryption is also highly recommended for data privacy and prevention of data breach. Strong passwords are the cornerstone of a secure system. Therefore, as an IT admin, it’s important for you to set up a strict password policy for all users to strengthen their system security. For example, encourage users to use strong password with at least 12 or more characters that should be a combinations of letters, numbers, and special characters. Such passwords are hard to break and will take years to unlock by an unauthorized person. In addition, frequency of changing passwords is necessary. The password policy should also mention the password duration (usually every 90 or 180 days) after which the system must ask and force users to change their passwords and also prevent them from using the same passwords again. After implementing the various security policies, measures, and controls, it is crucial to test them. Testing helps find the vulnerabilities that may still exist and require to be fixed to ensure system security. You can either internally test your Windows 10 system security or hire a security analyst to find vulnerabilities in your secured system and fix them. Ethical hackers are the one who can also help you strengthen your Windows 10 system and network security. Data Erasure is often ignored which could lead to serious data breach. Data Erasure refers to securely erasing the data after the end of data life. To ensure data security in a Windows system, it is crucial to ensure a secure way to dispose the data, especially the business-critical data. There are two methods to accomplish data sanitization— either by physical destruction of the storage media or by using a secure data erasure software such as BitRaser for File which erases the data beyond recovery without destroying the storage media. Physical destruction, however, is debatable. Nevertheless, software-based data sanitization with international data erasure algorithms such as DoD 5220.22-M, NIST, etc. 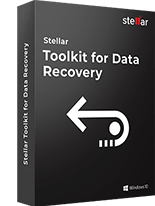 helps destroy data beyond the scope of recovery. Most of the data breach occurs from within the organization due to the employee’s lack of knowledge about the security threats with Windows OS. Proper training and awareness should be imparted to the employees and Windows 10 users so that they understand the various risks, responsibilities and their roles in safeguarding the confidential information and resources. This involves training them with adequate skills that can help them identify risks and methods to prevent or avoid various threats. Strong passwords are the starting point. Creating a strong Windows 10 Security plan does not end the responsibilities towards system protection. In fact, it is where the real task begins. After implementing security policies and measures, you must maintain and update them through various testing measures and patches. Also, keep the staff aware of the various new threats and their responsibilities towards enabling data protection. Windows 10 may not be completely secure, but keeping it updated along with adopting the various security measures as discussed in this blog post can help safeguard your OS from the various new and emerging online threats and attack scenarios. Updating the third-party software is also as important as updating Windows since vulnerabilities in any tool can lead to data loss and system corruption. Therefore, you must implement the methodologies as discussed in this blog to strengthen Windows 10 system security. And, the most crucial steps— data backup and recovery— entail from the data loss prevention program. 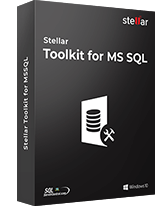 Since no data security plan can be 100% foolproof by itself, a backup plan and data restoration tool such as Stellar Data Recovery Professional for Windows will help you protect from threats like Ransomware, which otherwise can cause irreversible damage. Satyeshu is a Windows blogger and data recovery expert. He is having good technical knowledge and experience in Windows data recovery. He writes about latest technical tips, Windows issues and tutorials. Having a data recovery software is a must tool in everyone arsenal in this digital age world. Thanks for your feedback Tomas. All the 10 security steps really upgrade my computer literacy level. One key takeaway is having a regular backup each day. 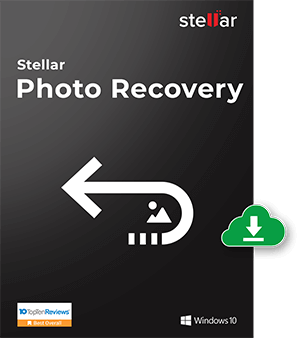 How to get free download of Stellar Windows Data Recovery for free with official key? 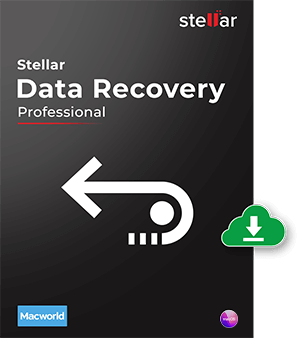 You need to visit the official website of Stellar Data Recovery and download the free software available their or use below link.